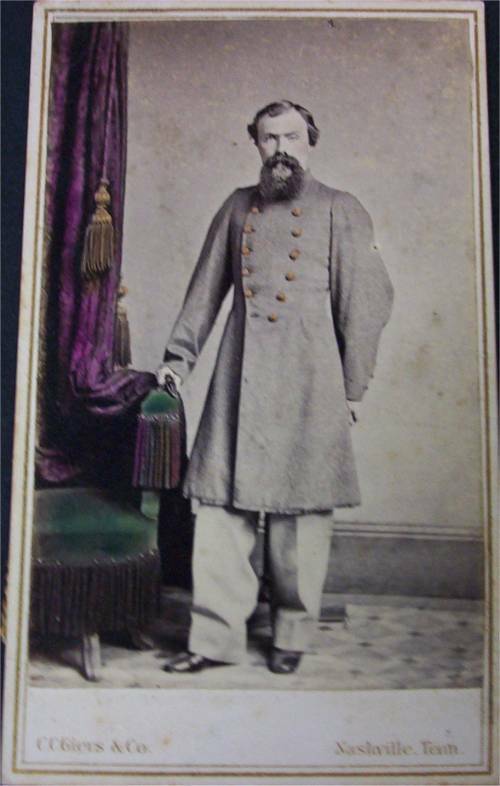 I have just completed the American Civil War memoirs of Sam R. Watkins, who served as a private in the Army of Tennesee. Watkins saw every action which his regiment, the 1st Tennessee, fought during the war. Of the 120 original members of his company, only he and six others remained in service until the end of the war. His memoirs, titled Co. Aytch, speak of both the glories and the horrors of war. In his words, the glory consists only in battle, while the misery covers the privations of the army and the sufferings of the wounded. No other account describes the soldiers’ wounds in such detail. Despite all the hardship, Watkins proves to be a resilient spirit strongly patriotic to the Southern cause. He wrote these memoirs in 1882, and a fuller conversion to Christ makes him add a very spiritual dimension to these events, which creates some of the most moving passages of the work. He has a great memory for quotations, though he occasionally gets some facts wrong–particularly concerning the resignations of certain generals, the wounds suffered by General Hood, and the misspelling of his commanding officer’s name. He spells the commander’s last name Field when it should be Feild. 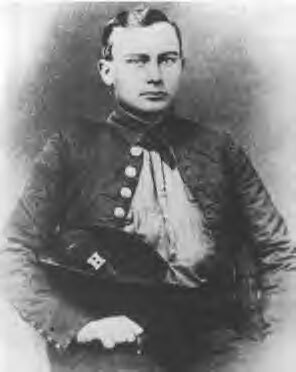 Hume R. Feild was great marksman, and Watkins claims that he killed 21 Federals during the war. Through Watkins, one comes to fuller appreciation the character and mindset of the Southerners of that time. One realizes how deeply sectarianism dominated the South when Watkins writes how Northerners fought for their country while he fought for his. He even presents a fable claiming how the North tries to treat this sectarian division as a myth. It’s obvious that Watkins has no interest in the question of slavery. He fought against the North because he perceived them as trying to strip the South of their rights as sovereign states. Slavery was indeed an issue of the war and no doubt a primary cause, but the Southern private fought for his countrymen and for his rights while the Northern private fought because the South had violated the sacred union of the United States. Watkins provides excellent eyewitness accounts of the battles. Interestingly, he believes that his regiment was only involved in one defeat: the Battle of Chattanooga. 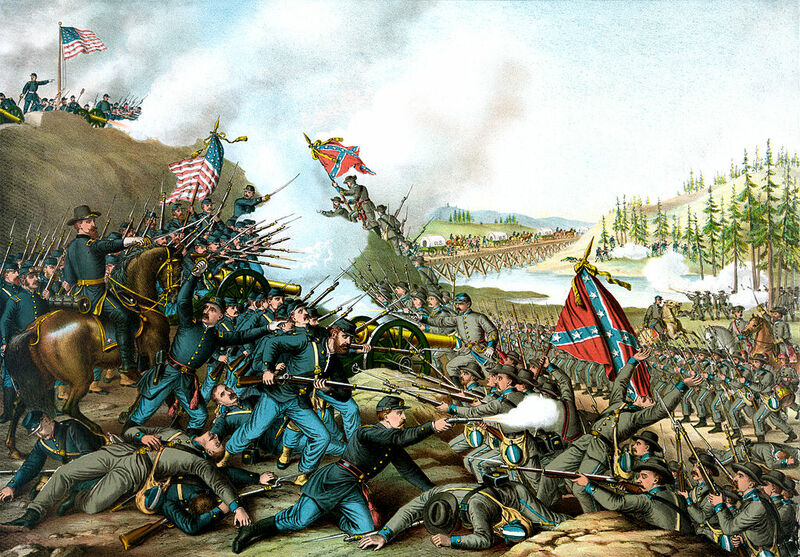 However, this was followed quickly by the action at Ringgold Gap, where General Cleburne captured 5,000 Union prisoners and Watkins describes the Union dead as lying as if shingles of a roof. Watkins actually slept through this action because the retreat from the Battle of Chattanooga had kept him awake for three days straight and he could not keep his eyes open. One learns how close the generals and other commanders were to their men during the Civil War. Watkins had several opportunities to speak to various generals, including Robert E. Lee on one occasion, and many of them were quite young. This likely made them feel even closer to the troops. He served under Bragg at the start of the war, Johnson for a while before the end, and Hood at the last. He seems to have loved all his commanding generals, though it was apparent that Bragg had no respect for the troops and punished offenders against military discipline severely. Johnston essentially gave renewed purpose to an army in rags, and Hood was there to see the decline. Watkins felt that Hood did not know how to effectively wield his army, but that might be understandable considering the odds Hood was against at the tail end of the war. A life given for one’s country is never lost. It blooms again beyond the grave in a land of beauty and love. Hanging around the throne of sapphire and gold, a rich garland awaits the coming of him who died for his country. And when the horloge of time has struck its last note upon his dying brow, Justice hands the record of life to Mercy, and Mercy pleads with Jesus, and God, for his sake, receives him into his eternal home beyond the skies at last and forever. I’m not sure who the editor was for this particular edition. Titled Co. Aytch: A Confederate Memoir of the Civil War, my copy was “A Touchstone Book, Published by Simon & Schuster” in 2003. The memoirs were originally published in a hometown newspaper called Herald in Columbia, Tennessee from 1881 to 1882. These were shortly published by Sam R. Watkins as a book, which had the alternate title “A Side Show to the Big Show.” I do not know who helped Watkins in editing the articles and compiling the stories in a book. The editor was likely no where near as famous as the editor of Ulysses S Grant’s memoirs, but the style is as readable as Grant’s writings. You’re welcome! And I hope that you enjoy this work.